Neck pain is very common, so it’s unsurprising that there are many reasons why your neck might be hurting you. If you’re unsure of why you’re experiencing neck pain, check out this article for more general information on neck pain causes and solutions. In this post, we focus on one particular neck pain cause: a pinched nerve. What exactly is a pinched nerve in the neck, and what can you do about it? Here’s what you should know about pinched nerve in neck causes, symptoms, and treatment options. What is a pinched nerve in the neck? Pinched nerves happen when other parts of the body, such as bone and cartilage, place too much pressure on, or “pinch,” nearby nerves. They can occur just about anywhere and are sometimes caused by something serious, such as arthritis, a herniated disc, or a traumatic injury. In other cases, pinched nerves can be traced back to something much simpler, like poor posture or repetitive movements. Neck pain can be severe, exhausting, and even scary. But it’s also very treatable. Whatever is causing your pinched nerve, there are many ways to ease the symptoms. You can even do some of them at home! We’ll go through the most common treatments later in this article. First, however, you should confirm that your neck pain is the result of a pinched nerve. In the next section, we’ll review the symptoms of a pinched nerve so that you have a better idea of whether or not it’s the source of your pain. But remember: only a physician can diagnose you with a medical condition. Seeing your doctor is the only way to know for sure if you have a pinched nerve in the neck. What does a pinched nerve in the neck feel like? Pinched nerve in neck symptoms can be divided into three main categories: numbness, pain, and muscle weakness. Numbness from a pinched nerve may manifest as a loss of feeling or a strange tingling. The tingling is often described as a pins and needles sensation, like the affected area has “gone to sleep.” Depending on how long your pinched nerve has gone untreated, the tingling may last anywhere from a few minutes to a few hours, or it may be ongoing. Pain from a pinched nerve can take different forms. Some people experience a burning or stabbing sensation, while others describe it as more of an ache. Muscle weakness simply means that the affected area tires more easily, and that it can’t support your usual activities the way it used to. Some pinched nerves heal on their own with proper treatment, but they can become chronic. Chronic pinched nerves occur when the pressure on the nerve remains constant or gets worse over time. This can lead to permanent nerve damage. If your pinched nerve in neck symptoms last for more than a few days, consult a doctor. Pain is not normal and, in the case of a pinched nerve, may lead to chronic pain and worsening symptoms if it is not treated. If you suspect you have a pinched nerve in the neck, your first step should be to see your doctor right away. They will make an official diagnosis and help you figure out which treatment options are best for you. Below is a list of pinched nerve in neck treatments that your doctor might recommend. There are several ways to treat pinched nerve pain at home. Some of them are intuitive, such as finding and remaining in a comfortable position for as long as possible. Others might require a little more effort, such as maintaining a healthy weight or learning self-massage techniques designed to reduce neck pain. Still others involve monetary investment, such as buying a standing desk so you spend less time hunched over a computer. Experiment with at-home treatments until you find the ones that work for you. Always talk to your doctor before starting any treatment that makes significant alterations to your diet or exercise routine. Getting a good night’s sleep with a pinched nerve can be difficult, but it’s an important part of the treatment process. The way you sleep at night has a big impact on how your neck feels the next day. Try to find a comfortable sleeping position and stick with it. Sleeping on your back and using a supportive pillow are good places to start. If your pillow isn’t supportive enough or is actively causing you pain, you may want to consider purchasing a new one. Pillows for neck pain are specially designed to ease neck pain not just while you sleep, but in other situations that might put strain on your neck, such as long car rides. You might also want to take a pain reliever or do some stretches right before bed; this way, their beneficial effects will last you through the night. We’ll talk more about both of these treatment options in later sections. There are many different neck stretches designed to mitigate neck pain. After getting the go-ahead from your doctor, do a little research on neck stretches and try as many as you can. Pace yourself: don’t try them all at once, especially if you’re not used to stretching that area. If any of the stretches cause you pain or discomfort, stop immediately and take a break. Once you’ve found the stretches that work best for you, you can use them as both a preventative and a pain-relieving measure. Take a little time every day to go through your stretches, and then also do them whenever your neck is bothering you. In addition to stretches, neck exercises may be beneficial. You don’t need to go to the gym for this. There are plenty of neck exercises you can do at home, no special equipment required. First, consult your doctor before starting a new exercise routine. Then, like with the stretches, set up a time to do your exercises and stick with it. As you exercise, pay attention to how your neck feels. The minute you feel uncomfortable, stop. You may tire easily in the beginning, but the more you exercise, the stronger—and, hopefully, less painful—your neck will become. While exercise can help alleviate pain, be cautious about which exercises you choose to do. As we mentioned earlier, pinched nerves can be caused by repetitive movements. So doing the same exercise repeatedly, or doing an exercise where you have to move your neck the same way over and over again, could cause more pain in the long run. Using heat and/or cold is one of the more affordable ways to relieve pain. They both can be applied in a variety of ways. A hot or cold towel might do the trick. You may also choose to spend some time under a hot shower or apply a bag of frozen vegetables to your neck. Always be careful when using heat and/or cold therapy. To avoid burns, limit the amount of time you keep the source of heat or cold on your heck, and don’t let it get excessively hot or excessively cold. If you’re using a store-bought treatment, read and follow all of the instructions. Physical therapy is a broad term that encompasses numerous treatment methods, including but not limited to, many mentioned in this article, such as heat/cold therapy, stretches, exercises, and chiropractic. Receiving guidance from a professional, however, can be more helpful and more comforting than going it alone. A physical therapist is specially trained to assess your needs and design a treatment program just for you. They will also suggest lifestyle changes to prevent and mitigate neck pain in the future. Chiropractors specialize in treating all manner of back and neck ailments. They can use spinal manipulation tip to ease your pain and, similar to a physical therapist, give you advice on what you can do at home to help your neck feel better. A word of warning: chiropractic care may not be safe for everyone, so talk to your doctor before making an appointment. This ancient therapy originated in China thousands of years ago. It involves inserting thin needles under the skin in specific places along the body. Stimulating those places can supposedly treat a variety of conditions, including pain, but whether or not acupuncture truly works that way is still under debate. Some studies found it to be an effective treatment, but others suggest that many of acupuncture’s perceived benefits owe more to a placebo effect than to the acupuncture itself. Regardless, acupuncture is generally considered safe, as long as the acupuncturist is reputable, experienced, and uses clean needles. If you decide acupuncture is the way to go, you will want to do your due diligence before selecting an acupuncturist. Make sure that whomever you visit is properly licensed and registered with your state. You can also talk to your doctor for recommendations. You may have already tried over-the-counter pain relievers before ever realizing that you had a pinched nerve. If you find those helpful, talk to your doctor about continuing to take them. If they aren’t helping, talk to your doctor about getting a prescription for something stronger. For example, corticosteroids may be able to alleviate pain that’s too severe for over-the-counter medications to handle. They can be taken orally or injected, as we’ll discuss in the next section. You might be anxious about the idea of needing injections or surgery. The good news is that you probably won’t need either of them! Both of these treatments are an absolute last resort. Only if all of the other treatments in this list are unsuccessful should you even consider surgery or injections. Corticosteroid injections are used to reduce inflammation, which in turn can relieve pressure and pain in the affected area. They can be an especially important treatment to do alongside physical therapy or chiropractic care. While you manage the pain, you can go through strengthening and stretching routines to resolve the underlying cause of pain. Note that these injections are minimally-invasive, but they still have potential side effects. This is especially true when it comes to long-term use. If all other treatment methods fail, some pinched nerves will require surgery. In that case, a surgeon will go in and shift whichever body part is pressing on your nerve to a better, less painful position. But again, surgery is only used in “worst-case scenario” situations. You don’t have to even begin worrying about that until you’ve exhausted all of the other, less invasive treatment approaches. Need some more guidance on how to deal with your pinched nerve in neck pain? 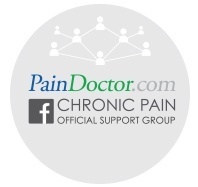 You can find a pain doctor in your area by clicking the button below or looking for one in your area by using the tips here: https://paindoctor.com/pain-management-doctors/. A pain specialist can help you navigate the various causes of and treatments for your pinched nerves.